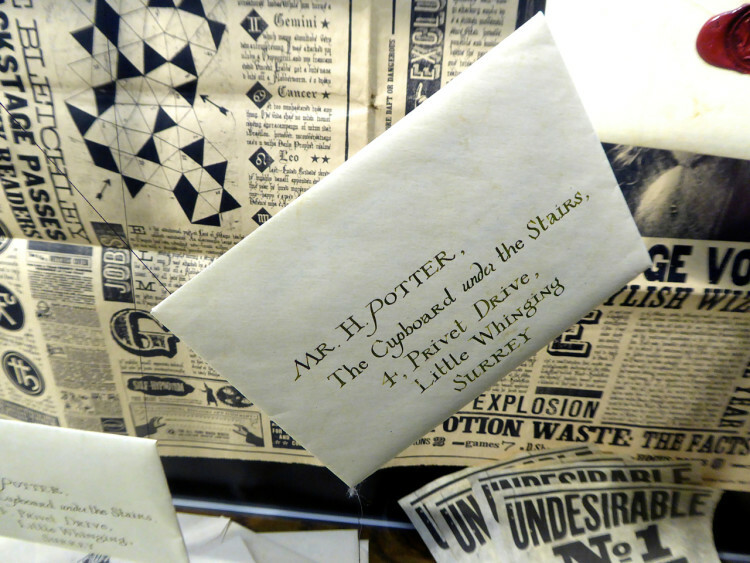 Whether you’ve been a Harry Potter fan since the beginning or are new to the series of books and films, the holiday season is one of the best times of the year to experience the Warner Bros. 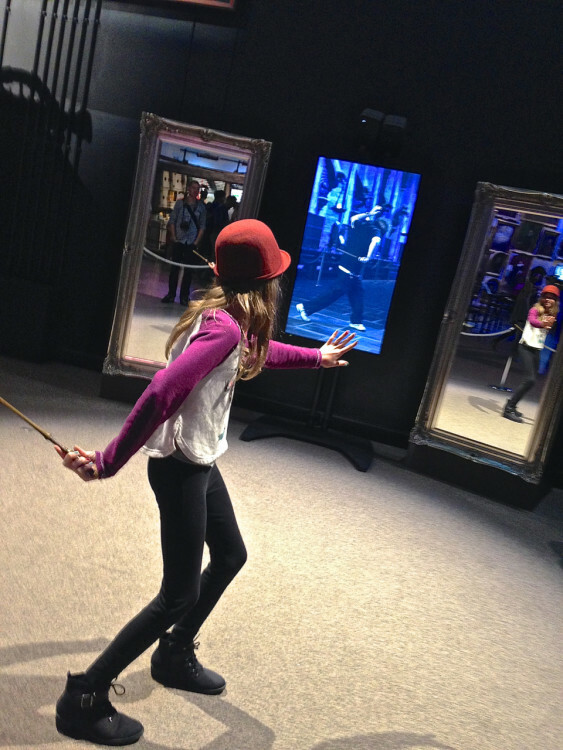 Studio Tour London, The Making of Harry Potter. My family’s favorite scene in the Harry Potter series is Harry’s first Christmas at the castle. Now you can dig out your family’s favorite holiday sweaters and experience Hogwarts during this festive time of year. 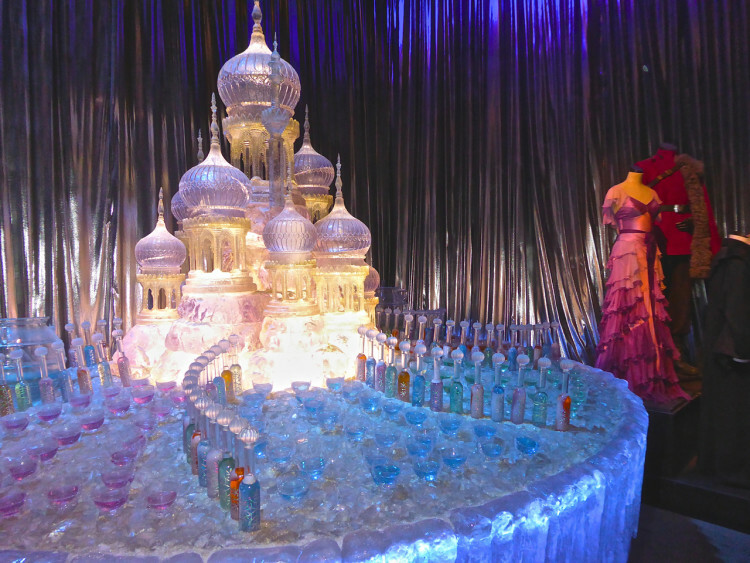 This season Warner Bros. Studios Tour London, The Making of Harry Potter will be getting into the spirit with authentic props from the holiday scenes used during the production of the first Harry Potter film as part of the attraction’s ‘Hogwarts in the Snow’ theme running until January 31st. Trees will be adorned with golden baubles shaped like moons and partridges will line the set, while a replica feast will sit atop the long tables including flaming Christmas puddings and hams studded with cherries. Fans know that the Great Hall was often at the heart of the action in the series but did you know that the set used in the film is the exact one that visitors will walk through on the tour? 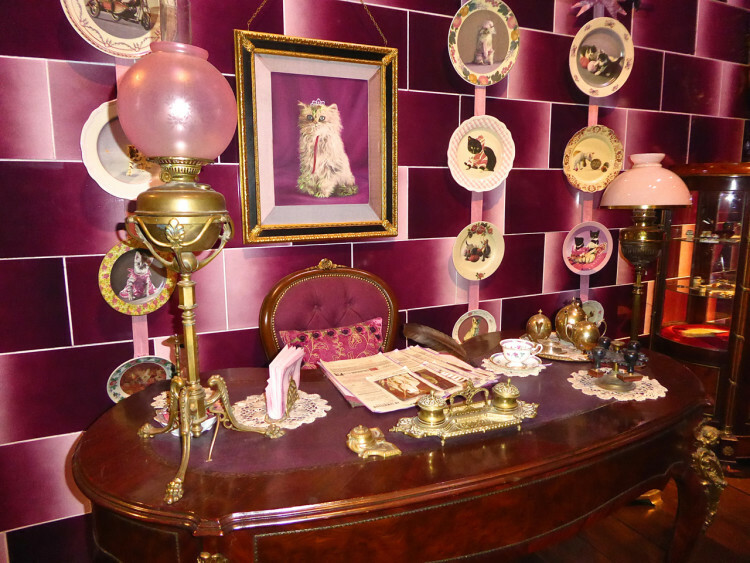 For this set the filmmakers created a permanent room complete with a real stone-tiled floor that was used throughout the twelve years that the series was filmed. For those less familiar with the films, the Great Hall was first featured in Harry Potter and the Philosopher’s Stone. 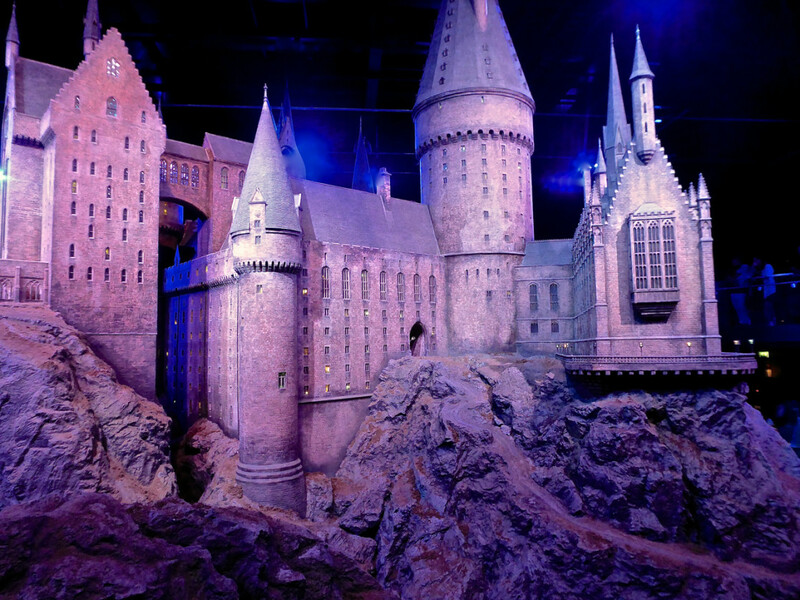 It was home to Hogwarts’ famous feasts and the setting for many other memorable scenes such as the Sorting Ceremony in the first film where Harry is placed in Gryffindor house and the arrival of the Durmstrang and Beauxbatons students in Harry Potter and the Goblet of Fire, to name a few. During the ‘Hogwarts in the Snow’ feature, expect to see the Great Hall, Gryffindor common room and the Weasley’s kitchen all decorated as they were for Christmas scenes while the Hogwarts castle model will be covered in a blanket of filmmaking snow. In addition to all the attractions available during a standard tour, families will get the chance to discover how artificial snowflakes, special effects fire are made and how real flames are controlled on set—as in the case of the flaming Christmas pudding. For those who don’t know, a Christmas pudding is made of many dried fruits held together with egg, molasses, spices and can be aged for a month or more. 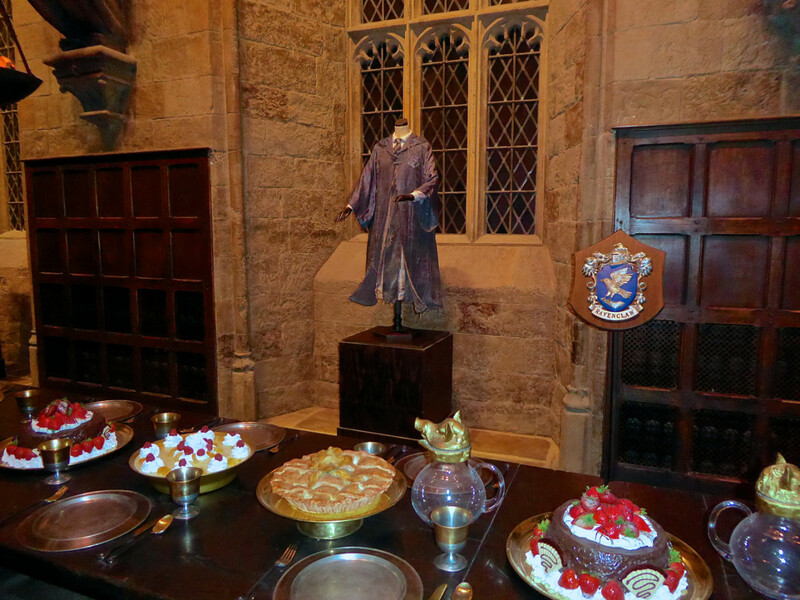 Guests will be greeted on arrival with welcome drinks and canapés and then taken to their seats on the actual set of the Great Hall that was used during filming. If that weren’t enough to make diehard fans swoon, guests will find wands waiting for them at their tables before enjoying the first two courses of a delicious Christmas dinner with all the trimmings! After dinner, guests will explore the Studio Tour at their leisure but must be sure to arrive at the attraction’s newly opened Platform 9 ¾ in time for dessert. After more exploring you can break for a cup of Butterbeer in the Backlot Café before heading to the wizarding shopping street, Diagon Alley. The evening will conclude with music, dancing, and an open bar. Event is open to those over 18 only. Tickets, priced at £230, are available online–a bargain in this mom’s opinion. 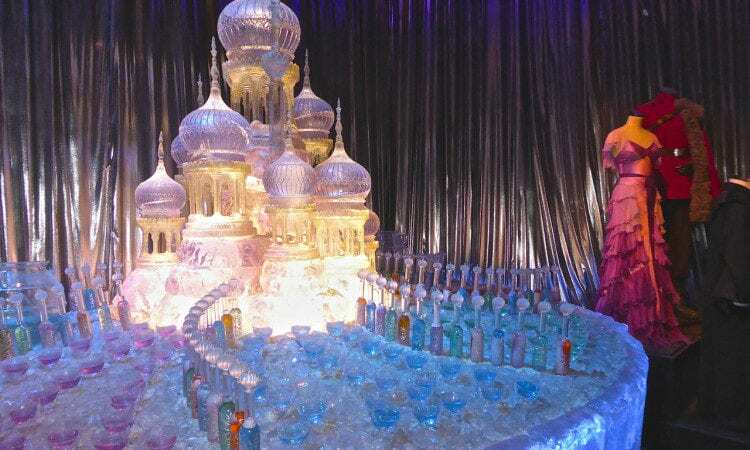 The experience of seeing the real props, costumes and sets that your favorite characters used in the films is exciting but this tour also teaches children the art of filmmaking and how the magic is made. A film is truly a team effort and in addition to what you’d expect during a tour there is also the unexpected, like original concept drawings, paintings and early set designs. Taking a tour will entertain your family but it also may inspire them to future careers in the world of filmmaking. Tickets must be pre-booked online and cannot be bought at the attraction. The Warner Bros. Studios are about 30 minutes from London by train or car. There are buses from the station to the attraction. Book your ticket well in advance as they sell out quickly! Allow at least 3-5 hours to complete the tour: we were there for four hours and could easily have stayed for five. You can bring in your own food but it must be eaten at the Backlot Café seating area. The Backlot Café has real food including salads and, hot and cold meal options. There are baby changing stations and the Studio Café will provide hot water for heating bottles. Some strollers are allowed but must be noted at time of ticket purchase. Double strollers are not allowed. A camera is a must.